Brodie House is a single family house located gulf front towards the end of Indian Pass in a very quiet neighborhood. Situated all on one level, access to the living area and 3 bedrooms is easy. 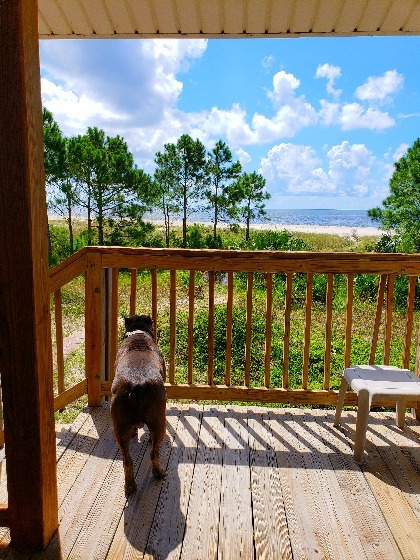 There is a large covered deck that stretches across the front of the house facing the Gulf, perfect for a peaceful retreat. There is quite a bit of space paved for parking around the house as well as underneath. So if you’re planning to bring a boat you should be able to park it and vehicles comfortably. Also, if you’re hoping to catch any fish on that boat (or off the shore) there is a fish cleaning area under the house making it easier to cook your catch. 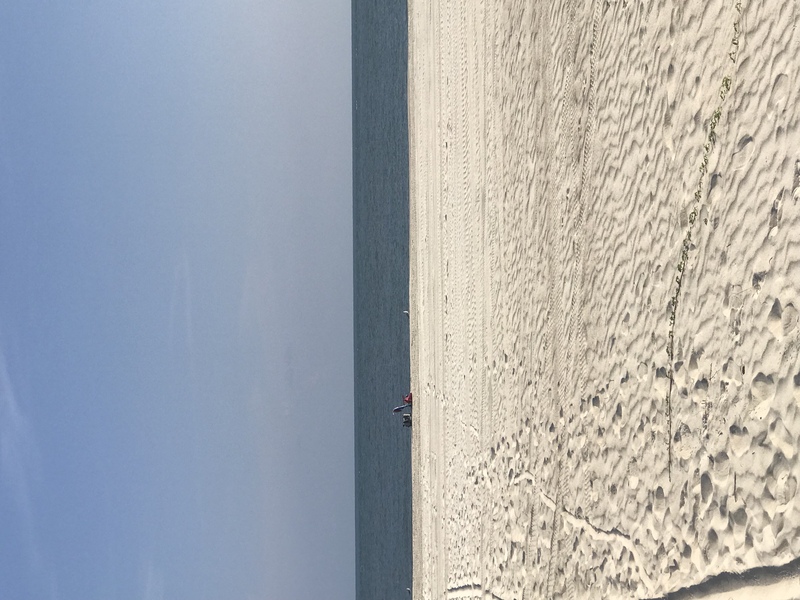 Indian Pass beach is just steps away from the property and is a quiet, private beach near the Indian Pass boat launch. 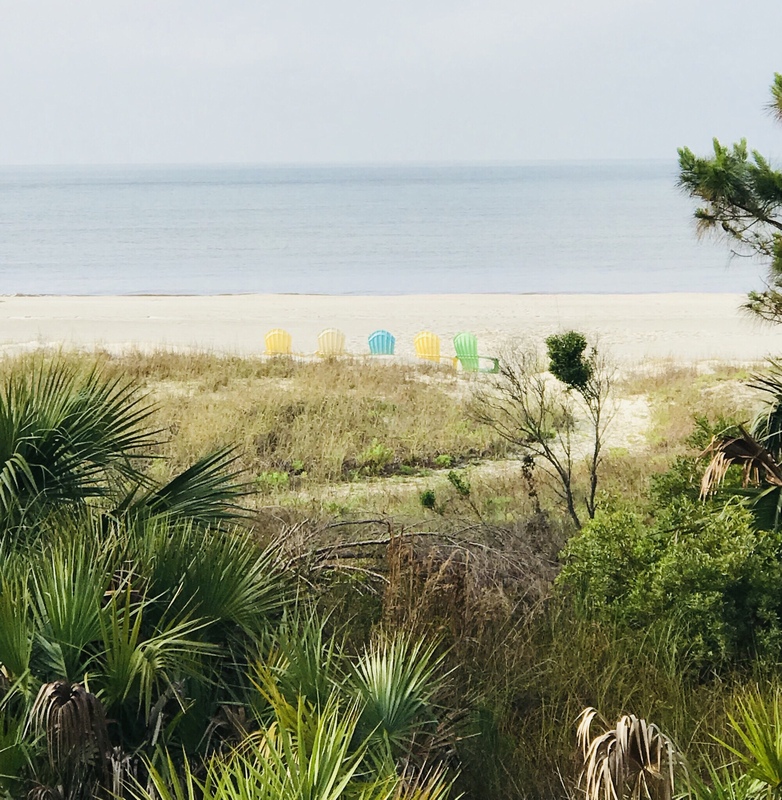 Come to escape, read a book, go fishing, go shelling, ride a bike, have a cookout, just simply enjoy the outdoor playground at Brodie House in Indian Pass. Floor Plan: Ground level – eat-in kitchen with gulf front dining area, gulf front living room with flat screen TV, DVD, CD player; Bedroom 1 – queen bed and small TV, full bath with shower/tub combo, Bedroom 2 – 1 bunk set, 1 day bed and trundle; and Bedroom 3 – master bedroom with king bed, TV and full bath with shower only. What a beautiful beachfront home in a very private part of Indian Pass! The location could not have been better. The house was clean and comfortable with a well appointed kitchen that provided everything our family of four needed. We took advantage of the beach gear rentals that came with the property and enjoyed riding our bikes around the neighborhood and on the beach. We also appreciate that this rental is dog friendly- I don’t think our dog stopped smiling the entire week! Thank you for sharing your home with us. We hope to visit again soon. We loved the house was very close to beach. Loved all the windows. Quiet area. Two new outside chairs were delivered while we were there. Loved them. Living area Furniture is worn and older but comfortable. Kitchen meets basic needs. Outside shower and outside fish cleaning sink are both a plus. Plenty of Parking. I spoke with Pristine Properties a few times before my arrival. Great group. Suzanne is wonderful. Would stay here again. The best thing about Brodie House is the location. The beach is wonderful and very private and secluded which made for a peaceful vacation. The condition of the house, however, is less than average compared to other beach houses we've rented in the past in this same price range. We checked in immediately after the housekeeping crew left the property and after walking around the house barefoot for a few hours, our feet were black. As one previous reviewer mentioned, the home is in desperate need of a thorough cleaning including the floors, under furniture, bathrooms, and general dusting. With two small children who spend a lot of time playing on the floor, this was very disappointing. I submitted a request to Pristine the first day (Sunday) but was not visited until Wednesday. Additionally, the large furniture made the living space quite tight and the mattresses were not very comfortable. And the kitchen was not stocked very well for a family who intends to prepare meals at the property. While we enjoyed this stretch of beach, we would not stay at Brodie House again due to the overall state of the home. The Brodie House is in a good location with great views from the deck. The proximity and access to the beach and the beach itself are great, but for the rental price the unit itself is in need of updating and a lot of TLC. While it is comfortable, the unit is older and worn. Most of the furniture is old and too large for the size of the rooms. Master and second bedroom mattresses need replacing. The inside needs a good thorough cleaning, minor repairs and painting throughout. Half or more of the window blinds do not work properly. Deck and railings are in rough shape and need repairs. They also need staining and/or sealing to help alleviate splinters in hands and feet. The outside shower and laundry room bath room are convenient and useful and help keep sand out of the main floor. While we enjoyed our three weeks there (after all we were at the beach), we would not rent this unit again unless it was renovated. We would look for another unit in the same area if we decide to come back again next year. Pristine Properties was quite responsive to all, except one, of the problems we encountered that they had control over. We realize this review is quite critical but do not want future renters to expect more for their money than they will get. 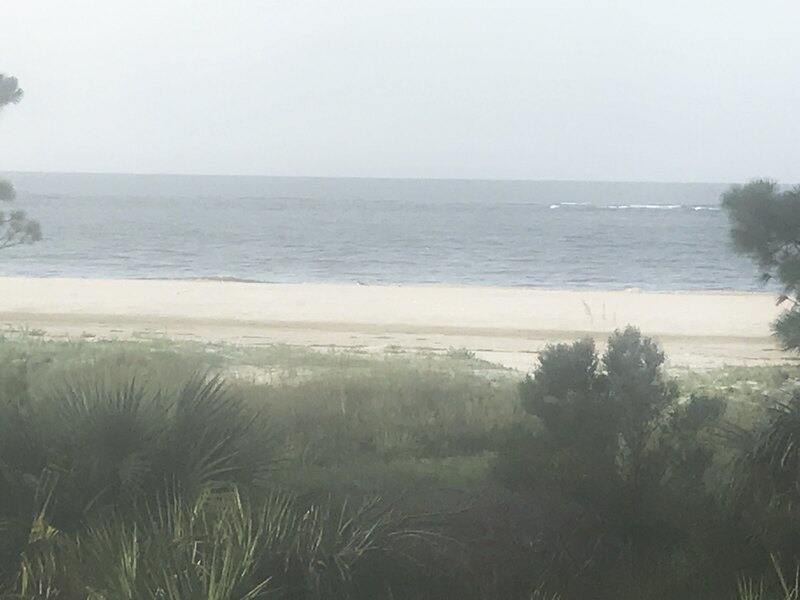 Yes, it is a beach rental and is subject to gulf weather and the manner some renters probably treated it, but it should still be kept up better. Like the Indian Pass area the Brodie House has a rustic "Old Florida" feel that is not for everyone. 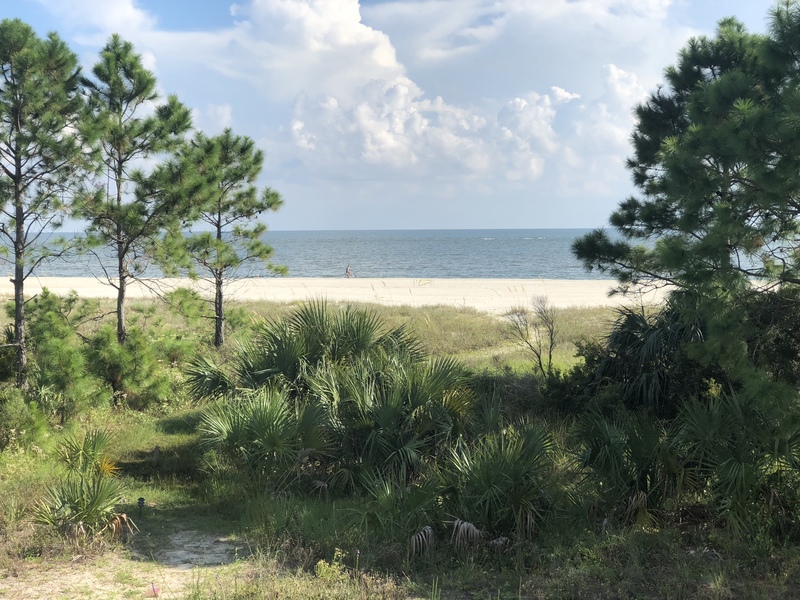 Priced on what it is the pictures online depict exactly what the property has to offer and the location/proximity to the beach are some of its best assets. Peaceful weekend. The access to beach was easy. Nice to have three bathrooms and one outdoor shower. The view of beach from porch was great. Being to open the French doors to let the nice ocean breeze was relaxing . We plan on reserving this house again next year. Family and friends built this house so we were excited to be staying in it. The view is great, air conditioning kept us cool, and the walk to the beach was an easy one. We do think the rent is a little high, when compared to homes we have rented in the keys. The lack of basic kitchen utensils and a barely functioning toilet have been a bit of an issue. House does need some updates and inside painting.